Your natural beauty is undeniable; but it is your captivating smile and gentle heart that charms me. 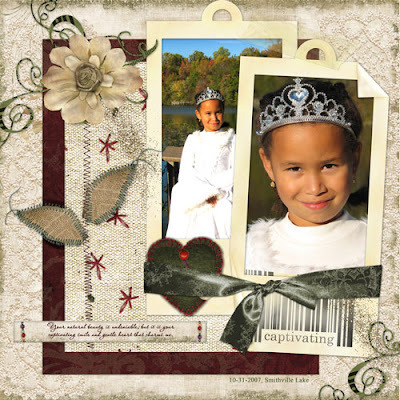 Snowflake Sash (recolored) and background ppr. from Winter Wonder. Crochet lace, felt heart and red ppr. and linen ppr. from Weichnacht page set. Beaded staple from Brighten My day page set. Sketch from Rachael Giallongo's The Merriest Collection. When is the number 3 an unlucky number?